Half of the world’s killer whale populations could be wiped out in a few decades because of toxic chemicals in the oceans, researchers say. Polychlorinated biphenyls (PCBs) were previously used to make electrical components and plastics, but despite efforts to ban the pollutants they remain in high levels in some areas. An international team of researchers, including scientists from the Zoological Society of London (ZSL), suggest current concentrations could lead to the disappearance of up to 50% of global orca populations in the next 30 to 50 years. The study, published in journal Science, found declines in the number of killer whales in 10 out of the 19 populations investigated. Those in heavily contaminated waters, including around the UK, Brazil and the Strait of Gibraltar, were particularly at risk and newborns were rarely seen in these areas. Despite a “near global ban” more than 30 years ago, “the world’s killer whales illustrate the troubling persistence of this chemical class”, the authors said. Jean-Pierre Desforges, from Aarhus University, who led the investigation, said the findings were “surprising”. “As the effects have been recognised for more than 50 years, it is frightening to see that the models predict a high risk of population collapse in these areas within a period of 30 to 40 years,” he said. Killer whales, which are at the top of the food chain, accumulate the chemicals ingested by other animals such as seals and large fish. They are among the mammals with the highest level of PCBs in their tissue, and mother orcas can pass the chemicals to their offspring through their milk. 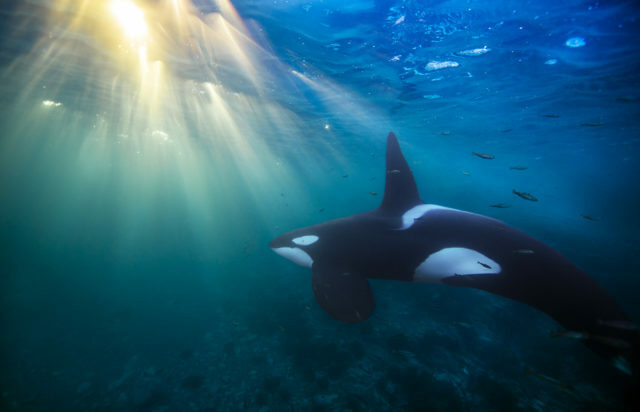 Researchers have measured PCB levels as high as 1,300 milligrams per kilogramme in the blubber of killer whales, while previous studies have shown just 50 milligrams can lead to infertility and immune system damage in some animals. PCBs, which decompose slowly in the environment, were banned in the UK in 1981 and several other countries in the 1970s and 1980s. More than 90 countries pledged to phase out the chemicals and dispose of existing stocks under the Stockholm Convention in 2004. Fewer than 10 killer whales are estimated to remain in the waters around the British Isles, according to the study. Only orcas in less contaminated waters, such as the Arctic and Antarctic, appear to be able to sustain growth, it said. Professor Paul Jepson, from ZSL’s Institute of Zoology and co-author of the study, said the findings suggest efforts to eliminate the chemicals “have not been effective enough” to protect killer whales. “There is therefore an urgent need for further initiatives than those under the Stockholm Convention,” he added. 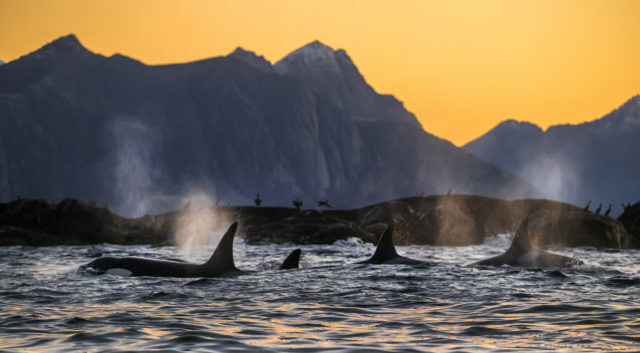 Willie Mackenzie, oceans campaigner at Greenpeace UK, said: “Thirty years after they were banned, it’s staggering that polluting PCBs are not only still getting into our ocean, but that they are pushing our killer whales towards extinction. A spokeswoman for the Department for Environment, Food and Rural Affairs, said: “The UK is a world leader in protecting marine life and we banned polychlorinated biphenyls over 30 years ago.